Join us for restaurant week. Taste some of DOMO Sushi’s local favorites, enjoy in-depth Sake Flights and pairing recommendations that are sure to make for unique dining experiences. 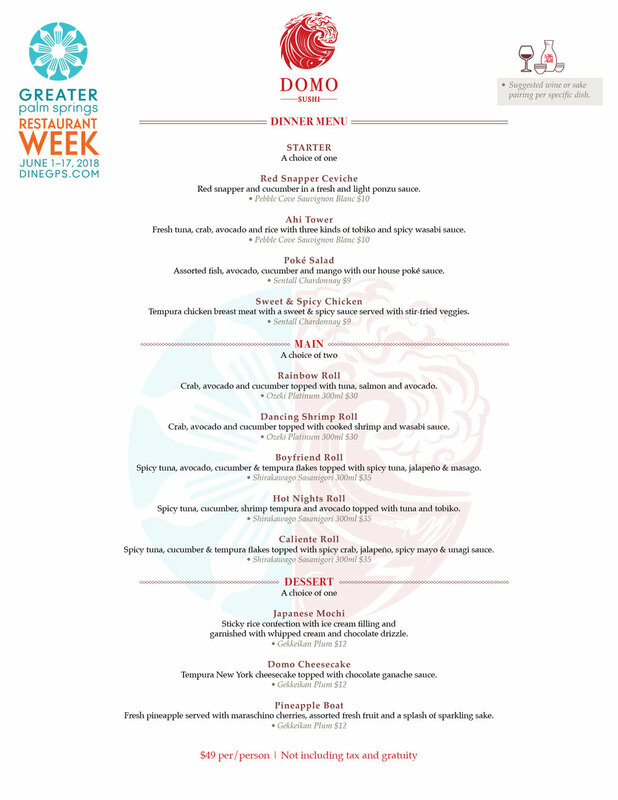 Our Restaurant Week menu at DOMO Sushi on El Paseo is $49 per person excluding tax and gratuity and features optional wine and sake pairings for each dish at an additional cost.